JEC is the pioneer of LASIK surgery in Indonesia, and provide comprehensive technology, such as LASIK Xtra, Z2 LASIK, M-LASIK, and Surface Ablation (No Touch LASIK, PRK, LASEK, and EpiLASIK). Recently JEC has added the latest, cutting edge technology, the 7 Dimension Z-LASIK (7D Z-LASIK). 7D Z-LASIK is an innovating system using a high speed excimer laser (1050Hz) collaborated with a Ziemer Crystalline 5000 Khz machine (Femtosecond Laser). This combination gives 7D Z-LASIK the highest speed among all types of available excimer laser in the world today. Normally, our eyes are regularly having an involuntary movement of 90 micrometer per millisecond, in all directions. Hence, the constant, exact focus of the eye’s position is very important when performing a laser process using LASIK. 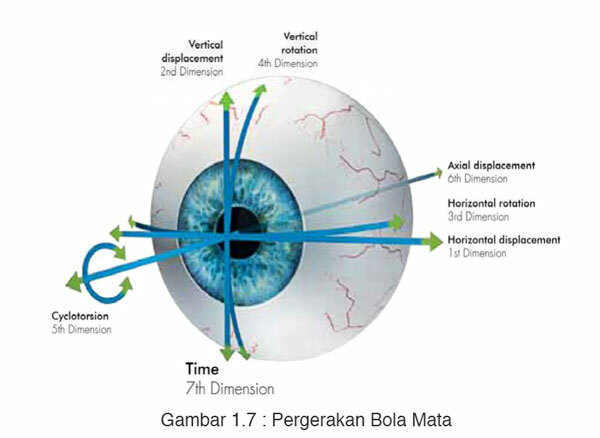 Since that 7D Z-LASIK by using the Latency-Free Tracking system, is capable to tracing the 7 dimensions of eye involuntary movement during the LASIK process,. This system is able to shoot the excimer laser without delay (zero latency time), following regular eye movement. With its ability, this 7D Z-LASIK is able to fix refractive eye conditions such as minus, plus and cylindrical in a very short time; only 1.3 seconds per diopter. This ensures that 7D Z-LASIK can provide maximum safety and automatically increases patient comfort. Moreover, since the commencement of Laser Refractive surgery in 1994, JEC’ doctors has experience in optimizing the eye’s refractive ability in more than 5500 patients, which resulted that 98% of patients who underwent a LASIK procedure have no longer require, the need of using spectacles or contact lenses to be able to see things clearly. LASIK technology has been approved by leading institutions in the world, such as the US Army, US Navy, US Air Force, Marine Corps and NASA. Patient must be 18 years or older. Both eyes must be in healthy condition. Soft contact lenses must be removed 14 days before the LASIK procedure. Hard contact lenses 30 days before the procedure. Patient cannot be pregnant or be breastfeeding. The first stage is to make a flap in the cornea using Femtosecond Laser* technology (Bladeless Laser Surgery). At JEC the flap is made using a Ziemer Cristalline 5000Khz. The advantage using the Ziemer Cristalline 5000Khz is that the flap-cutting process is faster and more precise with lower energy usage, resulting in a smoother incision. The second stage is after the flap is open. The lighting focus of the laser on the inner part of the cornea changes the cornea’s shape. The purpose is to eliminate the refraction abnormality (minus plus and cylindrical) by using the Schwind Amaris 1050Hz Excimer Laser. The Excimer Laser is used to shape the cornea’s new surface. After the laser treatment is done, the flap is repositioned. In less than 3 minutes, the flap will attach to the cornea by itself, without the need to be sutured. Why choose LASIK in JEC Eye Hospital? A doctor has to make many decisions in a short time, using the LASIK procedure. That is why it is so important and sensible to entrust the LASIK procedure to an experienced eye care centre with comprehensive facilities. JEC has a professional team of ophthalmologists and paramedics with experience serving more than 27.000 LASIK patients since 1997. This number is far beyond other LASIK service providers. 98% of our patients, treated using a LASIK procedure, no longer need to use spectacles or contact lenses to be able to see clearly. LASIK procedure is done based on international standard hospital safety and uses the latest generation of LASIK technology. No need to wait for a long surgery schedule because JEC has a comprehensive team and facilities, which can accommodate for LASIK surgery every day. Comprehensive pre-operative examination uses extensive and accurate diagnostic tools, so that any eye anomaly can be detected with precision. Our experience as pioneers has earned JEC the MURI record as the eye care provider who has performed the most LASIK procedures in Indonesia, as well as the achievement of the pioneer of LASIK in Indonesia. Feel free to contact the JEC Call Center (021) 2922 1000 right away, or make a consultation appointment via our JEC website. For information on our 0% credit card LASIK installment plan please visit www.jec.co.id.